Global homestay major Airbnb on Monday invested close to $200 million in the Ritesh Agarwal-led OYO chain of hotels, homestays, rental accommodation, and co-working spaces. This move, according to industry experts, would give a major boost to Airbnb’s India operations, as it would get instant access to 10,000 OYO Homes properties. 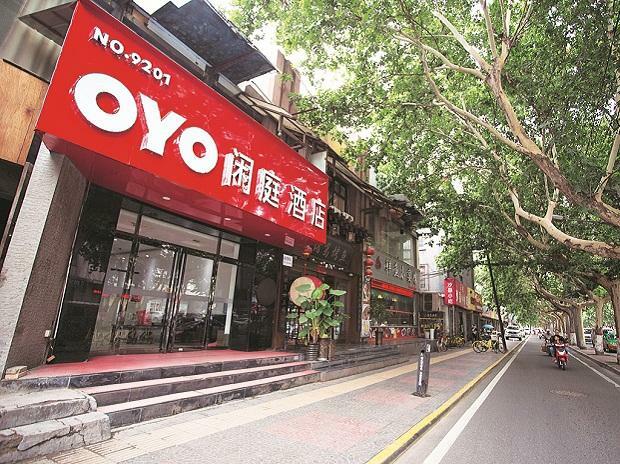 According to sources, the two firms have been in discussion for a stake sale since September last year, around the same time when OYO raised its billion-dollar mega round. This $200 million would be added to the ongoing Series E round. Till now, the hotel booking start-up has managed to raise close to $1.65 billion in total, at a valuation of over $5 billion. “Discussions were on for a while. More than financial, this is a strategic investment for Airbnb, but it helps OYO as well. With this investment, Airbnb would be able to go in for major expansion in the next three months. This move would help it make inroads into India, which it has been trying to for the past four years,” said a source privy to the deal. While OYO confirmed the strategic investment, it did not reveal the amount of investments by Airbnb or share other details. In addition to this strategic investment, both parties are exploring opportunities to collaborate on a range of projects, including making OYO accommodation available on the Airbnb platform. 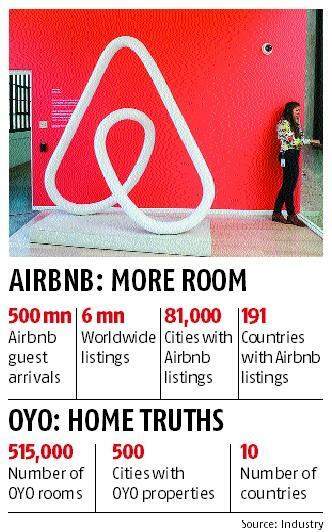 “Airbnb’s strong global footprint and access to local communities will open up new opportunities for OYO Hotels & Homes to strengthen and grow, while staying true to its core value proposition,” Maninder Gulati, global chief strategy officer at OYO Hotels & Homes, said in a statement. A little over three years back in a conversation with Business Standard, Nathan ‘Nate’ Blecharczyk on a question around his views on the then OYO Rooms, which started on the Airbnb model but later pivoted to a different business model, had said that none of the clones have succeeded. “We have pioneered this model. None of the clones has become successful. It is actually quite complicated to get it right, in terms of offering a good user experience,” he Blecharczyk said. However, a lot has changed since then. From increasing traffic on its app to the number of properties, Airbnb would be gaining a lot for its business from this stake buy. Airbnb also hopes to increase traffic on its app in India with this move. “Emerging markets like India and China are some of Airbnb’s fastest-growing, with our growth increasingly powered by tourism to and from these markets. We share a dedication to offering people more choices when traveling and we are excited to partner OYO as we work to make Airbnb for everyone,” said Greg W Greeley, president of Homes-Airbnb. Over the past few months, Airbnb has made some global acquisitions. Last year, it acquired a French concierge services and property management company called Luckey Homes for an undisclosed sum. Just a few days back, it acquired HotelTonight, a service for last-minute bookings. Valued at over $35 billion, Airbnb is bolstering its portfolio before it heads for an IPO. For Airbnb, the tie-up with OYO means a partial change in the business model, specifically for India. Experts believe for Airbnb, India has been a tough nut to crack. From lack of clear regulations on the homestay business model, to difficulty in finding ideal listings, Airbnb has not been able to make rapid expansions. “In many countries, there is a concept of a second home which is away from where the homeowner stays. In India, it is mostly an extra floor converted into a homestay... What OYO instantly brings to the table are more than 10,000 properties. These properties have the look and feel of a homestay,” said a person close to the deal.